SANTA BARBARA, CALIFORNIA – December 21, 2018 – Klipped, LLC announced that over 100 individuals have downloaded the haircut management app which features intelligence styling, booking, and payment features. Klipped conducted three months of beta testing to work out bugs and to validate stylist and customer best practices before formally launching in November, 2018. “We are thrilled with the quick adoption the Klipped platform has enjoyed over the past month,” said Co-Founder and CEO Skylar Urban. 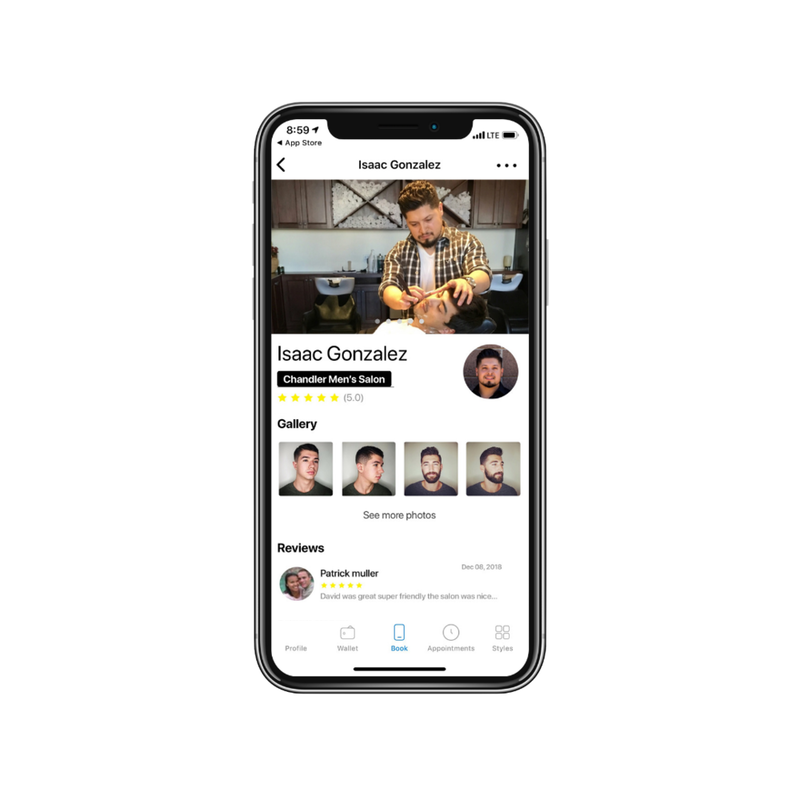 The Klipped smartphone app allows consumers to search for an ideal stylist based on actual past haircuts and even celebrity haircuts. The platform manages booking the appointment as well as payment for the service. “Much like what Uber did for transportation, we aim to automate and simplify the haircut booking process,” added Mr. Urban. The Klipped App has already driven 417 total haircut appointments. Mr. Urban began working on the Klipped concept while studying entrepreneurship and marketing at Santa Barbara City College. Urban later teamed up with Juan Arteaga, a local Project Manager, to begin developing Klipped as a company in early 2017. The haircut roots run much deeper as Mr. Urban explains, “My grandfather was a barber and the positive effect he had on customers every single day stuck with me,” explained Mr. Urban. “If Klipped handles the routine aspects of the haircut experience and helps the customer find the right stylist, then the focus is on the haircut and relationship,” added Mr. Urban. The Klipped app has intelligence styling which matches the consumer with the right stylist based on type of hair and ‘haircut history’, manages the scheduling/booking including text reminders for the customer, and also handles all payment and gratuity. According to COO Juan Arteaga, Klipped Stylists are enjoying “an average of 30% gratuity with each haircut which is a terrific way customers are telling stylists they like Klipped.” Klipped plans to expand into Los Angeles and other regional cities in 2019 but will focus on Santa Barbara to further refine the business model. Klipped is a provider of mobile based booking and payment solutions for the haircut industry. Klipped is dedicated to improving the booking experience for clients and ensuring our professional partners have all the tools they need to successful manage and grow their businesses.